The Currency Trading Method we teach is very simple and can be learned by anyone – even beginners with no trading experience in just a few weeks. In fact, many people think that its to simple to work but we have been using it for nearly 30 years and it's made profits throughout this period and will continue to make profits in the future. Many trader find it odd, that a strategy so old can make money, when they see the huge amount of complex algorithmic trading systems, realized each week and strategies which claim to have found the hidden order of market movement. Many traders buy these systems looking to beat the market but of course, this is always doomed to failure. The market cannot be beaten and never will be. It's a fact that simple strategies will beat ones which are to complicated but most traders fail to understand why so this needs some more explanation. Let's take a look at why keeping it simple is the key to success with your trading method. Complex strategies don't work better than simple strategies and there is no way to beat the market because FOREX prices are made by humans and humans, are unpredictable in terms of what they will do. If want conclusive proof, that there is no way to beat the market you will find it, in the ratio of traders who lose money. The percentage of losers, has remained the same for decades and it will remain the same in the future – why? The reason is learning currency trading is easy but you also have to keep in mind, is FOREX trading is an emotional experience and you have to react to the market which will not of course always go the way you want it to go and give you losses. Most traders try and fight the market and let their emotions, over ride their trading strategy and signals. When they do this, they start to let losses get top big, cut profits to early and engage in trading to often to try and get their losses back and this means they have no trading method and soon end up losing money. Our strategies are based around simple techniques which are flexible and will always make money, we also stress the importance of adopting the right psychology, because having the right mindset is vital to any traders success. Because you only need a simple trading system you can learn to trade currencies quickly and then all you need to do is adopt the right mindset and you will enjoy long Term FX trading success. 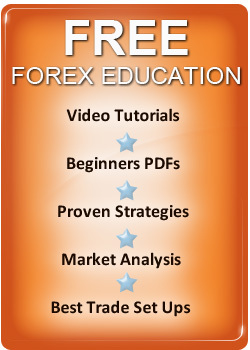 You can learn FOREX trading quickly with our trading course and this is because, it gives you what you need to know to win and keeps the strategy very simple so you understand exactly how and why it works. In our 30 years of trading, we have tried just about every indicator, trading system and with our strategies, we have stripped out all the complexity which doesn't work and focused on simple trading tools and strategies which do work. Our currency training course, provides the essential information you need to know, to make money and nothing more. Our strategies can be learned in around a week, so they allow you to cut your learning curve and learn to trade currencies quickly. The strategy is based on looking at FOREX charts and uses trend lines and a handful of trading indicators which are used to confirm trading signals. The system can be used to trade the longer term trends or to swing trade, overbought and oversold levels. The system is therefore flexible and a trader can use it in many different ways. It can be used - to spot trend changes, swing trade or trend follow long term trends. It can be used for conservative trading or more aggressive trading and finally, it can trade any major pair or cross rate and will also work on any financial market which trends. While the strategy we teach is simple and robust, you need to approach trading with the right attitude and psychology to make the strategy work for you and as we said earlier this means adopting the character traits of winning traders and the skills needed to win, can actually be learned by anyone. You need to have confidence in your system to follow it and this means – you need to understand why it work long term and this confidence is essential to trade through periods when you are losing with your trading signals in the market and keep the losses under control until, the markets give you profits. We have spoken about this already it's vital – you need the discipline to follow your trading strategy or you don't have one. If you have a system your confident in, you follow it EXACTLY and ride out losers and wait for winners. Think of how a big cat in the jungle stalks its prey, it will watch and wait until the time is right to bounce and you must do the same in FOREX trading. You must wait until the set up is right and don't jump into soon. You need to step away from the crowd and stand alone. The best currency traders like to do trades which no one else ones to do and not do comfortable trades. If a trade looks comfortable or easy to do it will probably be a loser. If you are get excited easily or want to trade all the time because you think it's fun, you won't make money trading. The best traders are calm and detached from the market action and make trades, based upon the facts they see, not what their emotions are telling them to do. The above skills needed to win at FOREX, just mean when you are trading you take on a different personality when your dealing with the markets. As you can see from the above, the secret of currency trading success is not one that you can buy from someone else. There is no secret code to market movement and no method which on its own can give you guaranteed profits. People look for secrets because they don't want to work but FOREX trading is like any other business venture – you need to do your homework and learn the basics. The above is a brief introduction to how a simple strategy and learned skills can lead you to success and you will find more info on this site on the Currency Trading Strategies and How to Trade FOREX Like a Pro. If you want to make money trading international currency markets you can and build wealth from home in around an hour a day.